The 2011 termination of the Space Shuttle program has left American astronaut crews dependent on Russian rockets to reach the International Space Station (ISS) With Boeing having it’s own setbacks SpaceX was poised to have its first manned space flight to the ISS in 2017. Now that they’ve lost a second rocket in 13 months those plans are in serious jeopardy . SpaceX is also the major carrier of the ISS supplies. While they are not in danger the astronauts will have to curtail some planned activities and experiments. SpaceX ambitious 2017 schedule was to triple their previous year’s launch numbers. This accident was not related to the rocket function but rather a launch pad isue. Early speculation leads to static electricity during refueling igniting leaked liquid oxygen. 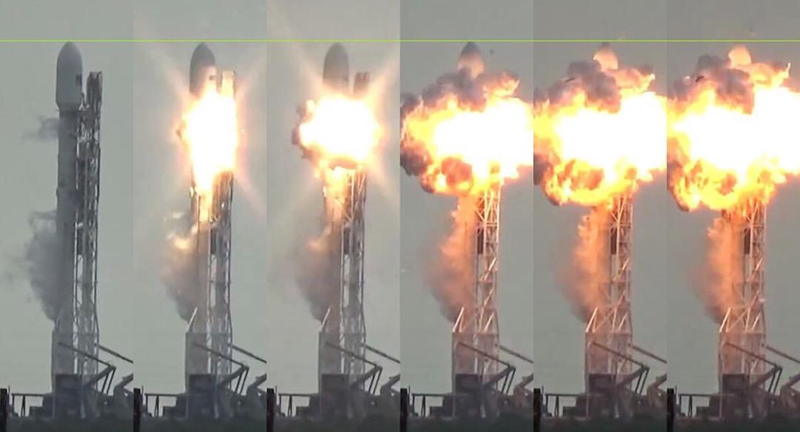 This mishap will further delay the planned Dec 2016 inaugural flight of SpaceX’s biggest new rocket – the Falcon Heavy . On the bright side the accident destroyed a satellite whose bandwidth was dedicated exclusively for Facebook to stream broadband to Sub-Saharan Africa. Half a billion Africans can thank Elon Musk for sparing them Facebook branded internet service. Despite Mr. Zuckerberg’s misleading tweets the $200 million satellite was owned by Israeli SpaceComm and not the property of Facebook. The dramatic launchpad explosion can be viewed on YouTube.